Graduating high school from the northern mountain town of Tumbler Ridge, Kristopher has been running in the mountains since the beginning of his running career. He spent 5 years competing with the University of Victoria Vikes Cross Country and Track team. Kristopher capped off his Varsity Cross Country career in 2005, with the Vikes edging The University of Alberta for a team bronze medal. Since graduating with a degree in Kinesiology, Kristopher began mountain running for Canada in 2008 and has raced for the National Team in International competition every year since. 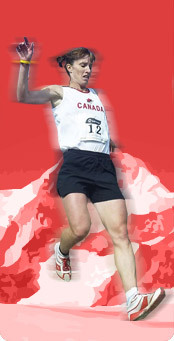 In 2009, Kristopher earned an individual bronze medal in the uphill race at the Commonwealth Mountain Running Championships in Keswick, England. The Canadian team took home bronze medals in both the uphill and up and down races at the same event. His best performance at the World Mountain Running Championships occurred in 2010, where Kristopher finished 30th in Ljubljana, Slovenia. Kristopher holds the distinction of having won one of Canada�s largest Mountain races, the Emperors Challenge, 15 times out of the last 16 years.